Take advantage of Facebook’s powerful ad targeting options with these strategies. With 1.5 billion active users, Facebook is one of the most effective marketing tools available…if you know how to use it well. Facebook’s 2 million advertisers are a clear sign that businesses are using it to reach new customers, but it’s likely that most of those advertisers aren’t taking full advantage of the following powerful ad targeting strategies. Without taking the time to develop and employ a powerful targeting strategy with your Facebook marketing, you may end up throwing money away. Furthermore, you’ll never understand why your campaign returns unsatisfactory results. You want to know how to attract customers on Facebook. Let’s start with designing a solid advertising strategy, and when it comes to creating a Facebook ad strategy it’s vital that you understand targeting. 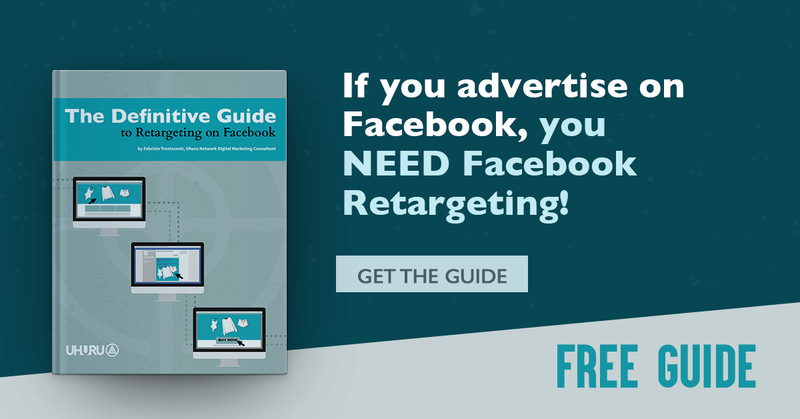 Below we’ve provided an awesome list of 5 advanced Facebook ad targeting strategies that work. One of the easiest ways to ensure a positive ROI is by targeting people you already know. People buy from those they trust. People that know you will likely trust you, so target them! a. Email list – You haven’t been building an email list just to send them your quarterly newsletters. It’s time to put that hard-earned list to good use. Facebook allows you to integrate your email list and put your ads in front of people who have already interacted with your brand. Facebook will find about half of your list once you’ve uploaded it, and find user profiles to target your marketing. If you have a list of 1,500 emails (or phone numbers), Facebook will put your targeted ads in front of about 750 of your current customers. This custom audience can then be used for any of the ads you create. Note: This is also an important audience to create because you have the option to exclude marketing to your existing customers. For other ways to make the most of your email marketing, take a look at our post “Email Marketing Best Practices and 10 Awesome Email Marketing Tips”. b. Retargeting – Retargeting is a sneaky (in a good way) strategy that puts your ad in front of people who have already visited your website. By installing the Facebook pixel (a simple bit of coding) in your website, you’ll allow Facebook to track every visit to your site. Facebook then puts your ad in front of former visitors to continually expose them to your brand. Marketing to someone who has already been to your website is like your neighbor driving that new car you test drove past your house every day. See it enough and you may be on your way back to the dealership. There you’ll be able to select whom you want to target. You can customize your audience by people who have visited your site, a certain page, or those who haven’t been to your site in a while. To specify even further, you will need to define how recently a person must have visited your site in order to see your ad (1-180 days). Name it and you’re ready to market. This custom audience can then be used for any of the ads you create. c. Fan – Why wouldn’t you target people who have openly liked your Facebook page? They appreciate what you have to offer and have told you to your (online) face. Using Facebook to put ads in front of your fans is a great strategy. When creating an ad, under connections you’ll select Add a Connection Type > Facebook Pages > People who like your Page. You also have the option to market to friends of people who like your page or to exclude people who like your page. Next you’ll find the page you want (yours) and proceed to narrow your targeting even further by utilizing the variety of options available to you (more on that below). You’ve marketed to people you know, so what’s next? How about to people that look like people you know? Marketing to people who have a great deal in common with existing clients, leads, and fans, means marketing to people who may act in a similar fashion. Facebook has made this easy by allowing you to target to custom lookalike audiences. a. Client lookalikes – The ultimate lookalike is that of an existing client. This advanced targeting strategy finds people with the same characteristics as the client list you provide as a custom audience. Your ad is then put in front of people who think and behave in a similar manner to your existing clientele. b. Lead lookalikes – You can also create a custom audience from your leads. Facebook will use the same strategy—to place your ad in front of people more likely to click through. c. Fan lookalikes – Fans like your business. People like your fans may like it too. It’s as simple as that. You’ll select the audience you want to mimic by selecting the custom audience you create to market your ads (or those that you avoid marketing to). Choose to market to the lookalikes of your existing customers, leads, or fans. Then select a percentage of the population of lookalikes in your country (or the country you’re marketing to) to be shown your ads. The selection ranges from 1-10%; the lower the percentage, the more closely your lookalikes will resemble the audience they’re modeled after. Note: In order to market to lookalikes of your fans, you’ll simply input your page as the audience by typing in the name. Let’s take everything you’ve learned about lookalike targeting and refine your strategy even further. Depending on your business, your customers may not have all that much in common. Sure, Facebook may be finding people who are just like your customers and still be falling short on delivering quality leads because there aren’t enough similarities to target. That’s when you take the reins and add an additional parameter to your search. Adding interest targeting to the mix gives you an opportunity to find similar customers. When creating an ad, select the Lookalike Audience you’re marketing to from the Custom Audiences. You might see your target audience is a very high number. It’s time to narrow that down. Under Detailed Targeting, enter an interest that is relevant to your marketing and select from the list. You can narrow this even further by selecting multiple interests. On to the next major targeting tool: detailed targeting. Detailed targeting allows you to target users of a specific demographic with particular interests and behaviors. For instance, you’re NYC-based niche travel company that wants to market its young women’s iPhone photography by bicycle tour called “Photocycle,” in Nice, France (stay with me here). You could have Facebook only show your ad to women between the ages of 22-24 who live in Brooklyn, have an interest in travel, photography, and cycling, and are logged into Facebook on an iPhone 6s plus. You may not have very many people to advertise to, but you get the point. With detailed targeting you can refine the parameters of your search to such a degree that you avoid any unqualified click through. When creating an ad, select from the available demographics in order to refine your marketing. You can be very specific (as exemplified above) and even enter multiple interests to narrow your search further. Note: You also have the option to exclude those who are interested in something that would disqualify them from being designated as a high-quality lead. If your catering company is marketing to vegetarians, you may decide to exclude people who have an interest in barbeque. Last but not least comes behavior and life-events targeting. This can be especially useful in obvious ways, for instance a florist targeting people on special occasions. The florist can market to anyone who was married 1 year ago and celebrating their anniversary soon. Facebook can also be used in less obvious ways to target a custom audience. Because of their partnership with multiple high-level data brokers, Facebook likely knows more about us than we think. Their tracking of user spending history can be very useful in creating unique criteria for your advertising. If you sell financial consulting services, Facebook can help you target people who buy what you have to offer based on their personal spending history. Imagine the possibilities when you combine behavior and life-events targeting with some of the strategies mentioned above. Once again, you’ll look to the Detailed Targeting section. Rather than targeting Interests, select Behaviors. Your online condiment company (yes, it’s a thing) could market to American expats living only in countries that it ships to. When an American in Argentina sees that he can get some of his favorite sauce (and a taste of his homeland) shipped to his doorstep halfway around the world, he’s bound to at least give it a second thought. Here are a few helpful hints to ensure you’re getting the most out of your new targeted marketing strategy. Don’t market to recent clients – We suggested that you market to your existing client base, but avoid marketing to your most recent customers. They aren’t as likely to turn around and buy from you again and your ads may be more of a cash drain than anything else. Optimize ad graphics and copy – Your targeting won’t get you very far if your ads aren’t optimized to speak to your target audience. You know them best, so choose simple bold images and write engaging copy that work for the person you want to buy your product or service. A/B test everything – The only way to distinguish the gold from the garbage is through the side-by-side comparison of A/B testing. Test your ads against each other with subtle (or dramatic, if you feel so inclined) changes to your images, copy, etc. Run your best ads and ditch the rest, but don’t stop there. Always be testing to ensure you’re running the most powerful, efficient, and effective campaign possible. Consider Facebook as one of the many traffic sources to your website, and place it in an overall strategy picture. Good read! I like the way you broke out the lookalike audiences into categories. I do find it interesting that you recommend not marketing to recent clients. I’m assuming you’re referring to very recent purchases. What type of time frame do you consider to be recent?